132Connect, a startup by Pavan Dev Singh Charak from IMT Ghaziabad has secured 3rd position globally in Ericsson Innovation awards 2015. 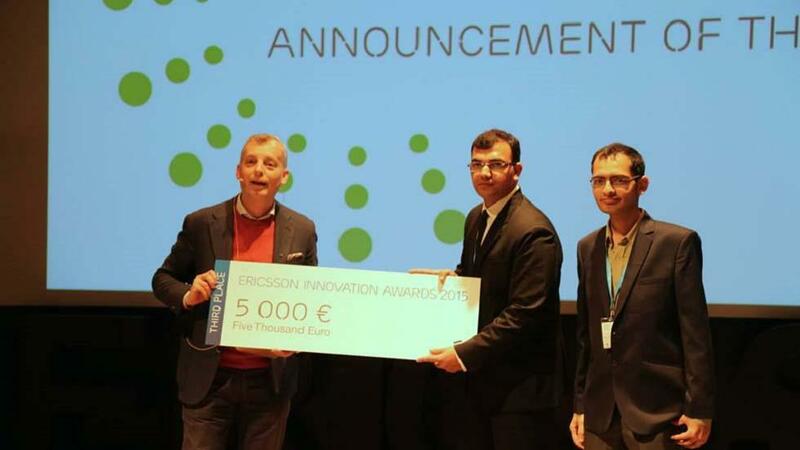 The startup has also received a prize for 5000 euros for initial product development. The theme of this year's competition was future of learning. Teams (Ericsson, 2015) from Germany, India, Ukraine and USA made it to final four in Ericsson Innovation Awards (EIA) out of more than 270 teams from 43 nations. Open to student from all over the world, the teams that entered the 2015 competition were asked to be fundamental drivers of change in the future of education. Each team was required to come up with an innovative idea, a business plan and a description of why it should be chosen ahead of the others. The driving principle of 132Connect is to make transition from education to employment more efficient for engineering graduates in India by mapping education content with industry context. In India poor employability of engineering students from tier 2 and tier 3 colleges often stems from lack of quality interactions among student community and untimely identification of professional opportunities. Our service is intended to mitigate this inefficiency and improve on it, says Pavan. 132Connect created a concept that helps engineering students to connect to career opportunities in the market place in a more efficient way. The judging panel appreciated the business concept intermixed with recruiters and domain experts and a personalized approach for candidates who would use the platform.